(CNN) – Republican U.S. Senate candidate Gabriel Gomez is calling on his Massachusetts opponent, Democratic Rep. Ed Markey, to take down a web video showing him on screen with Osama bin Laden. "Career Politician Ed Markey has started his campaign with a textbook despicable political attack to attempt to connect me with Osama bin Laden in the minds of voters," Gomez said Saturday. The former Navy SEAL called the video an "insult to my service and an insult to the intelligence of the people of Massachusetts," demanding his opponent take the video down immediately. But Markey's campaign sees things differently, pointing to Gomez's past work for the special interest group called Special Operations OPSEC Education Fund, which accused President Barack Obama of "politically capitalizing on U.S. national security operations and secrets" after the bin Laden raid. "Gabriel Gomez is now attacking Ed Markey for a web video containing video footage of Gomez's own advertisement that accused President Obama of politicizing the death of Osama bin Laden, and risking Americans' lives," Markey's campaign said responding to Gomez's demand for the ad to be taken down. In the web video, titled "Meet Gabriel Gomez: Just Another Republican" shows a clip from MSNBC where Gomez and an image of the September 11, 2001, terrorist mastermind are displayed side-by-side. In the clip, Gomez is seen defending the group. In denouncing the video, Gomez's campaign sent out a release Saturday with Medal of Honor Recipient Thomas Hudner calling Markey's ad "dishonorable" but Markey's campaign suggests their opponent is being hypocritical. The controversy comes just days after each candidate won his party’s nomination to contest for the open Senate seat left vacant when John Kerry became secretary of state. The two will compete in the special election on June 25. William "Mo" Cowan is currently serving as interim senator, appointed by Democratic Gov. Deval Patrick. The race has been overshadowed by the Boston Marathon bombing that left three people dead and more than 260 others injured. The candidates suspended campaigning for nearly a week following the attack. Though the campaigns are up and running again, media attention continues to be saturated with the bombing investigation. CNN Senior Producer Kevin Bohn contributed to this report. Ed Markey is a Democrat so no one will care. The gop is screwed across the country ,if the gop thinks their going to keep the house after the mid terms in 2014 ,that's as dumb Da thinking Rubio or Cruz or the teahage backmann will ever be president !!!! Dont argue with the man, let him think about what hes during is right or wrong. GOPers always want it both ways and start playing the victim when their hyocracy is exposed. Boy republicans don't like truthful campaigning do they and Markey is just showing how to do a decent job of spreading the word and that's republicans will cry when the shoes on the other foot right..And republicans truth hurts don't it!! Being a Seal does not equate or equal a good policy maker. It reminds me of everyone asking McCain his advise on war when the man crashed his plane (3rd time) and served as a prisoner of war. Want to ask McCain about torture or prisoners of war that would be logical, but war strategy...not from the guy that got caught. Same with Gomez, being a Seal does not equal being a good candidate for policy making, Want advise on Seals then fine but not policy. "Ed Markey's web video containing video footage of Gomez's own advertisement that accused President Obama of politicizing the death of Osama bin Laden, and risking Americans' lives..."
Don't you just hate it when the opponent uses exactly what you said to show people what a fool you are? Ironic that a Republican would complain about campaign talk like "pallin around with terrorists", "death squads coming for granny", or maybe refering to a person as a "socialist from Kenya". Truth is – Gomez tried to trash the President for going after Bin Laden. Democratic Rep. Ed Markey , not a smart ad . Gomez's past work for the special interest group called Special Operations OPSEC Education Fund, which accused President Barack Obama of "politically capitalizing on U.S. national security operations and secrets" after the bin Laden raid. Did Gomez support GW Bush , " Mission Accomplished " ? Sounds like Markey took a page out of the Rove playbook. Maybe it would be wise for the Markey Campaign to make public Gomez's Navy career to see what units he was assigned to and for how long. From the looks of things, he didn't serve a full 20 years for retirement and there's no information that he served in anything but a standard SEAL platoon. He, like any veteran, is worthy of respect for his service, but to claim political credit for his service, it requires performance of duty beyond the norm. I would fully expect that he will try to say that his assignments were classified, but that would be his burden to prove beyond doubt. 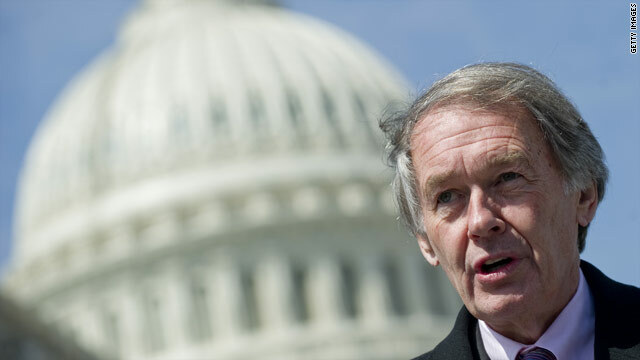 Senator Markey has proven his patriotism by long and faithful service to the nation. Mr. Gomez has some serious talking to do to present enough evidence of his worthiness to hold that office. My sense is that since Gomez failed in his first attempt, he just might find it even more difficult to overcome those obstacles on his second try. out of NYC to avoid interogation courtesy of "W" BUSH ! He was family friends with the Bin Ladens ! were business assoc. ! Republicans ? NEVER , NEVER TRUST THEM !! interesting, when the repubs stands on the sidelines and throw bombs at the president and dems, which they've been doing for the last 4 years without helping to lift a stone to fix the problem. now you have a repubs complaining about bombs dropping on their heads. all these repubs shows the same traits, they can throw it but they cant catch. its time the dems employ the repubs stragedy and stop being so docile, and throw bombs like hell. Another GOP stooge (like Romney) who's upset when his own words are used against him. Not sure who I despise more, the GOP, or the ignorant, illiterate, racist cowards who support them. Is Gomez very new to politics? If that is the case, he better pull out his name before things become tougher and tougher for him.To compete is not as easy as this man thought it was. He better check what means by jumping onto the battle! Hello, you wanna live with PACS and Citizens United type politics? "No political party or candidate may support this view politically or publicly by law, unless he aditionally gives his endorsement to the ad by adding his name and support, Which must be verabalised personally up front and in writing at the end of the AD where endorsements are verbally repeated"
= Making technology etc work for the people in any political sense. Its a nice check and balance!? They cannot say themselves one thing in meetings and another in public ads. Then us smart voters can figure out where they really stand.